23 Nov Happy Thanksgiving Y’all! 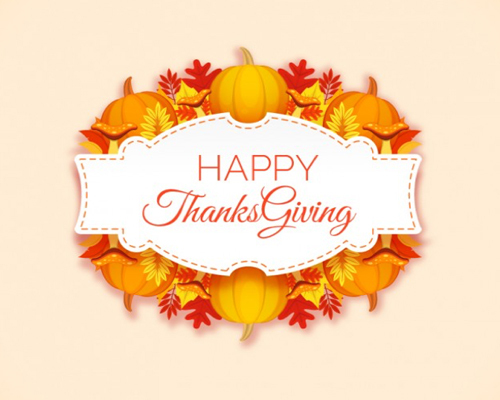 Happy Thanksgiving from all of us at GuardTop! Wishing you all a blessed time with family and friends. We have so much to be thankful for because of the freedoms given to us in this amazing country. In keeping with this season of thanksgiving, our GuardTop family has shared what they are thankful for this year. Jeff Luzar, Vice President of Sales: “I am thankful for the wonderful family I have. My wife Kathy, great kids Matt and Megan, Bellatrix the crazy puppy and new in laws of Gabby and Andrew. I am also thankful for my two new dogs, Foghat and Blanco. I am extremely grateful for my work family. I was thinking the other night that some people wake up every day and go to a job that they just can’t stand and for me, it is the polar opposite. Every day I get to spend with people like Bob and Laura who I repeatedly say that everyone should be so lucky to have two people like them in their lives. I am thankful for Sandy and Taylor, Natasha, Katie, Davis Thomas, Mark, Roberta, Lang, Joe, and that doesn’t include all the wonderful people at Advantage, I mean geez Louise, how lucky I am to be a part of such a great group of people. This does not include all my customers who many of which have become some of my best friends. Tom and Darin G, Mark S, The Premier Gang, The Caliber Gang, Lars, Tim C and Jake, Bill and Liz, Johnny and Billy,…..I can go on and on and on. They are all fantastic people!! I am thankful for all my crazy brothers and sister that make me laugh on a daily basis in some way. I am thankful to live in the best place on earth. I am thankful for all I have possession wise. I am thankful! !